Instagram is a major online service which enables the user to share photos and videos with their friends and followers on their platform. Instagram is the brainchild of Kevin Systrom and Mike Krieger. Instagram was launched in October 2010. The art of Maximizing Followers. Essentially, what does ‘Following’ indicate? The answer to this question is outright simple: ‘Popularity’. One main aspect that drives people on the social networking sites is the ‘Popularity’ Quotient. Who doesn’t like being popular? For Instagramers, the apt question here will be who doesn’t want to be ‘followed’? People like to be followed and be popular; they want to share photos and videos with all the followers that they have got. And most of us want to be popular, let’s accept this fact. I wouldn’t say that we are racing to be popular, but at the back of our minds, there is a little craving for some attention, some popularity that we may chance upon. Platforms such as Instagram have made it really easy for you to get popular; easy is a subjective term though. Let’s go some two decades back, there was no Instagram, no Facebook and you were known only by the people in your block and the neighboring one. Now, with all these platforms, world has become so easy, no? The global connectivity may even get you followers from any place of the world. If you are an avid photographer and you keep posting some real good photos, you may get followers from any part of the world. True that! Ofcourse, you have chance of connecting to your long-lost friends, families and work-place colleagues etc. I would say getting followers in Instagram is an easy job, but not that easy, it takes some of your efforts. In the end, you want to be popular. 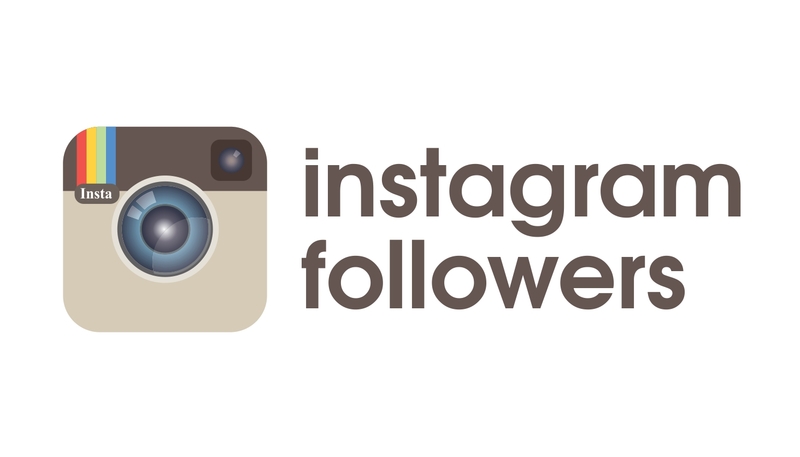 There are some tips that will help people to get followers on the Instagram. Let’s discuss those one by one. I would suggest the Instagramers to complete their profile. Incomplete profile on Instagram is a complete turn-off for people. When your profile is complete, people start taking you as the ‘Serious’ one. This holds true because people want to follow someone who has the potential to deliver, the person should be able to some post good pictures. ‘Portfolio-Building’ is also very important; you need to atleast have a dozen of good photos to show your lens skills. One piece of advice here will be: post your genuine photos. Do not download an image from Google and try to sell under your own name. Remember, it is the beginning and you certainly don’t want to shoo your followers away, if you just made any. This may even make you lose all your credibility for your earlier pictures as well, even if that might have been your originals. So the best way will be to post your own photos. Another thing that should never slip off your mind is that you should always post good photos, or even great photos for that sake. Do not start by posting mediocre photos, there is absolutely no room for such pictures on Instagram, because you want to get more followers, remember? Instagram is already flooded with so many people with millions of ‘average’ photos, so you might be just some another person trying to do all the same, and people will definitely not care. So, if your photos aren’t great, then wait, take some good photos. If your camera skills are not great, then just try some more photos and get it right. I wouldn’t suggest you to go out and pick a heavy camera and join a cool photography course. No! Just learn the basics; one thing that might come handy is your photo-editing skills. Either you need to have your photo great, or have your editing skills great. You need to have atleast one of the two. I would suggest editing is more important, moreover it can just give a new life to a dull and boring photo too. Pictures say more than words do and if your picture is right you will strike the right chord. Whenever, you upload a picture on Instagram, do not always write a caption on it. It’s a complete ‘no-no’ to add long quotes which does not even go with the photos and those which make people struggle to find out the existence of your quote. If required so, a small caption will suffice! You may add captions that allow your followers to make comments and suggestions. This strategy is always a smart one, you can put captions like ‘Hey guys, what do you think?’ It might induce people to comment on your photo and engage them better. One obvious thing that you should keep in mind is to set your account to ‘Public.’ This will allow more people to view your profile. Once you have built your basic portfolio and uploaded some good images, it is the time to market yourself. Now, charity begins at home. So, get your family and friends to follow you in the beginning. Once, they are on board, it will give you more confidence to go out and hunt for some more people to follow your account. It is not difficult to do this, especially you can cross link your accounts, as in you can ask people from other accounts to follow you , if you have a great friend-list on Facebook, then half the job is done. You can share your Instagram photos on Facebook, and then some of them may be aroused to check your Instagram profile and be your follower. This method of getting followers on Instagram does hold high chances precisely because people on your Facebook account already know you. Therefore, they will believe your account as well. The same case will also be true for Twitter account; you can get twitter followers on the board in the similar fashion, if you have a twitter account. If you have a business, and you own a website, then maybe you can use your website to promote your Instagram account. For business entities or individuals, the scenario might be a bit different. There are also various fashion photographers and wedding photographers who want to get more followers on their account. They do cross promoting, generally they will link all their Twitter, Facebook and Instagram accounts. Hence, one platform will also endorse another one, so they can get more followers in totality. Meanwhile, website can also get promoted eventually. Some entities even bring out contests that allow people on Instagram to participate in the contests and win gifts. These things may rope in more followers. For once, after you have got people to follow from your other social networking accounts on the Instagram, you have to move towards the next step. The next step is to get people that may not know you. This can be quite challenging in the beginning, but once you learn the tricks of the trade, it may be smooth sailing from here onwards. You need to find people who post the kind of images that you post. It may be sports or mountains, be it anything. There has to be common things between you and the people that you will follow. An easy way to do this is simply use ‘hashtags’ and find what interests you on the Instagram. Suppose you find people who have posted photos of mountains, just follow them. Follow as many people as you can, but please don’t randomly follow anybody. The person you follow has to have some credibility, if you are following a new Instagramer, who himself is struggling to find followers, that would be a hell of a bad idea. So, try to follow people who have got some reputation online. If following so many people on Instagram looks remotely feasible, then I would suggest dropping comments on their photos, which are striking to your interest and style. General rule is that ‘comments’ are far lesser than ‘likings’ are and even lesser than ‘followings’ are. So, you may get noticed if you leave a Sensible comment. Please don’t comment for the sake of and try to irritate someone. More the comment is genuine and personalized more the chances of visitors to your page. Because people sometimes leave one-word comment, that probably would do nothing but irk the person where you just left a half-hearted comment. Your good comment may generate a curiosity and leave you a visitor to your profile. ’Liking’ is easier than ‘Commenting’ is, but commenting certainly has got better stakes, and eventually you may get more following. And whenever you upload a photo, do not try to use irrelevant hashtags, please tag it with necessary words only. There are some popular hashtags that can go along most of the photos. Tags like ‘cute, photo of the day, pic of the day, beautiful’ etc. can be checked. I would suggest you to use these, but not with all the photos. It is okay to use them in combination with your original hasgtags sometimes. Now, once you have great following, all you need to do is marry them off, Ofcourse not literally, but figuratively. I am saying marriage, because you are supposed to start a relationship with your followers and then develop the relationship by nurturing it properly. And how would you do that? Essentially, you should be able to engage your followers correctly. ‘Balance’ is the right word, because you need to keep a healthy balance between time intervals of posting photos. You cannot just bombard your account with photos every now and then. This might be irritating, and an irritated guy on the internet is always a click away from ‘Unfollowing’ you, always remember. And don’t even commit a mistake of taking too long to post another photo. People on the internet have a short memory, they may soon forget you. It is your job to strike a balance between two posts. So, keep it sweet by posting photos once every while, because tomorrow comes. You need to save some photos for the rainy day as well. And always stick to what you are known for, don’t try to fluctuate between personal photos and professional ones. Let’s suppose you got bit of recognition online because of your mountain photography, now don’t try to deviate by posting your own coffee sipping photos. Once in a blue moon, people will forgive you for that. But, if you start posting your own photos, people will start to ‘unfollow’ you. Because you were know in the first place for that. So, don’t risk your popularity by stupidity. You can only risk this if you are good-looking and have that confidence, but still I would suggest banking on your strength, which was mountain-photography. Always show your gratitude, don’t get carried away by the popularity because it might be very temporary if you don’t keep it up. According to some statistics, a photo has more chances to be liked, if it is posted in the day time. But, this may vary I guess. You can invite someone who sort of enjoys a celebrity status to post on your account. This may give you a good advantage, provided he actually has a reputation. This person can actually share some relevant things to keep the users hooked. Do not confuse people by letting a stranger post on your account and where people find it difficult to digest. You can always create your own hashtag for your brand and promote it. Who knows it may just catch some more attention, you never know what on internet can get popular, so try all relevant things, and remember ‘relevant.’ And the last thing that I would suggest is not to buy some random fake accounts to follow you. Anybody with slightest developed brain could tell by looking at an account that the followers are fake and dummies, because most of their accounts are inactive and names which quite hysterical with incomplete profiles. Instagram managed to have 25,000 people registered on its application right on the very first day. There is story that says both the developers worked all night to cope up with the traffic. Instagram story is a hit majorly because they managed to hit it when the iron was too hot. The strategy worked because it happened at the right time and at the right place. To add an icing on the cake, Apple released its iPhone 4 with a great camera. This just fuelled in more growth for the Instagram. The app managed to get more than one million users in just three months! That’s a beautiful Head-start anyone could have. It just rocketed to ten million user base very soon. In the success story, there were some trigger points though. One of them was that, it was also being used by some celebrities. Justin Bieber, a Canadian singer, made it on Instagram by adding some of his photos. Thousands of fans just followed him for the pictures that the singer apparently posted. Instagram soon made the sensation with so many celebrities registering on the platform and sharing their exclusive photos. The online photo-sharing has a base of around 100 million users now. The huge success and the growing user base made Facebook founder Mark Zuckerberg to acquire Instagram. Instagram was acquired by Facebook for approximately US $1 billion in cash and stock around April 2012. It had 13 employees then. Though, Instagram continues to work independently till date, unlike the Facebook rule of not allowing the acquired companies to work independently. The popularity of the application was soaring day by day. The application had exceeded one billion users by that time and 58 photos were being uploaded in a second. Facebook’s move was definitely a correct one. In the beginning, when the Instagram was launched, it allowed users to upload the photos in the ratio of 1:1. So, only squared images were taken. The user typically edited the photo into a square picture and then was able to upload it. But recently, Instagram allowed the users to upload any photos, without having to worry about the shape. Users can connect to any number of people on Instagram. They can also connect with others by using their Facebook, Twitter, Tumblr and Flickr accounts. Instagram became like a version of Facebook, but only related to photos, some basic information and moreover ability to connect and follow people. There is provision for videos as well with Instagram. But, videos have to be of 15seconds duration only or even less than that. Recently, Instagram also started featuring ads on its platform. One thing that is crystal clear is that market for advertisement is huge on internet and there is cut-throat competition amongst application developers to get more advertisements on their platform. Instagram is told to rake in some $595 million by mobile-ad revenue in 2015 alone. But, we will choose to not go deeper into the business models followed by the companies in order to maximize their profits.